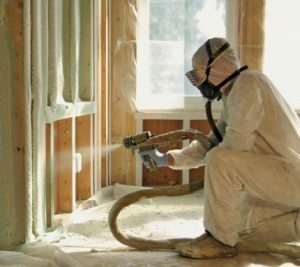 Why is spray foam insulation the better alternative? What-is-Spray-Foam-Insulation1In the average home, enough air to fill two Goodyear blimps escapes every day. This means that during cold winter months, the air inside your house that you are paying good money to heat, is being lost tothe cold outdoors each and every day! For those of you who live in older homes, as much as 50% your heating and cooling bills could be attributed to air leakage. Even new homes with standard insulation could be losing hundreds of dollars-worth of heating and cooling costs through their walls every year! All of this is due to conventional fibre insulation’s poor ability to restrict air leakage. As a result, this reduced R-value contributes to costly energy loss, moisture build-up, and even the transfer of airborne pollutants and pollens into your home. Spray foam, on the other hand, does what conventional insulation cannot do by expanding to fill cracksor potential areas of air leakage, thus virtually eliminating infiltration. Additionally, because of its waterproof characteristics, spray foam is able to address moisture issues that conventional insulation cannot. By maintaining comfortable humidity levels and guarding against air leakage in the cold and dry wintermonths, as well as keeping a cool and dry indoor climate during the peak of summertime heat and humidity, the benefits of spray foam remain substantial year round. All these factors combine to save you serious money in your home’s energy costs. The building envelope is a system of construction materials and design components that work together in order to control the temperature, air movement, and moisture flows of a building. The “envelope” allows the flow in and out of a building to be pre-determined according to design, resulting in a morestable, comfortable, and healthy indoor environment for its dwellers. Our quality policy is to produce and deliver on time, our cellulose insulation products and services that meet or exceed customer expectations. We have implemented quality systems and processes that are continuously improved to satisfy customers' needs. Using new modern and advanced technologies in our plant make us leaders in the insulation industry. Total computerization of our plant, a dedicated staff, and a commitment to continuous improvement ensures that only the best products are shipped to the consumer. Always! At North Star Fibre, we are committed to our cellulose insulation product and put 100% of our research, effort, production and service into this one product. We guarantee that if our cellulose insulation is properly installed, it will retain its thermal resistance, fire retardant and non-corrosive characteristics as well as its ability to control sound. North Star Fibre Inc. is dedicated to producing the highest quality cellulose in the world from a company you can trust. We are well on our way to turning what has previously been a 'specialty environmentally friendly product' into a major player in the building products industry. North Star Fibre's natural fibre insulation offers many environmental benefits being produced from 100% recycled paper fibre. Produced with no harmful chemicals, our cellulose insulation provides a safe and cost effective option for builders, installers and DIYers. Some people think of cellulose as a relatively low-tech material. On the contrary, with new technologies, such as attrition mills, chemical mills and state of the art bagging systems, the cellulose process technology used at North Star Fibre Inc. is very sophisticated. Our specially designed mills separate cellulose fibres producing less dust as well as more uniform fibres for maximum air blockage capabilities. At North Star Fibre, 100% of our focused energy, time and effort go into producing our one main product: cellulose insulation. Hence we do it well! By saving you on costly utility bills, strengthening the integrity of your home, and protecting the health of your family against dangerous molds, airborne pollutants and allergens, spray foam insulation stands head and shoulders above its counter-parts in the insulation industry. the insulation must meet Power Smart insulation requirements. To help you determine the most cost-effective insulation upgrade and other energy efficient improvements, assess your energy use with a Power Smart Home Energy Evaluation. You can complete the information online or order a mail-in assessmentSURVEY . Find more information on insulation in our how-to videos and booklets. it is your principal residence or your tenant's principal residence. projects to replace existing insulation. We may visit and inspect your home at any time from the date ofAPPROVAL until 12 months after installation. We also reserve the right to change or terminate the Home Insulation Program at any time. Pre-approval from Manitoba Hydro is required to be eligible for the rebate. Insulation must be new, purchased in Canada, and must have a verifiable R-value as determined by the Canadian Construction Materials Centre (open new window). projects that include replacement of existing insulation are only eligible for the additional R-value added. a minimum of 100 sq. ft. must be insulated. Decide whether you will do-it-yourself or hire a contractor. the existing R-value of the area to be insulated (read about R-value in our how-to booklets). contact you when your insulation project has beenAPPROVED . We may conduct a pre-installation verification beforeAPPROVAL is issued. We offer detailed information about insulating measures and procedures for your home. For more information contact us at 1-888-MBHYDRO(1-888-624-9376) or contact your local district office. 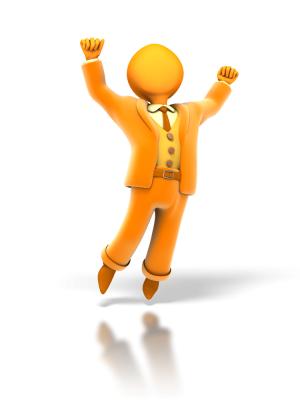 Once you have receivedPRE-APPROVAL , you can begin your project. select the materials to complete your project, or supervise the work of your contractor. All installation and associated renovation work must be completed within 18 months ofAPPROVAL of your Home Insulation Program Rebate Application. We will not act as mediator should you find your contractor's work unsatisfactory. Once you have completed your insulation project, you can submit your paperwork for a rebate. all original receipts for insulation materials. The form must include your contractor's or retailer's signature. The form must be sent to us within 30 days of finishing the installation. We will process your rebate once you have submitted the appropriate paperwork. It may take up to 8 weeks. You can receive your rebate as either a cheque or as a credit on your energy account. If you have any outstanding balances or loans with us, your rebate will be applied as a credit to the balance on your loan or energy account. PRE-APPROVED rebate total(s) are conditional and final rebates are calculated from the invoices received at time of rebate. Total rebate(s) for each area insulated cannot exceed the cost of the insulation material required to meet Power Smart standards. If a Power Smart Residential Loan has been used toFINANCE the insulation project the rebate will be applied to the loan. We may conduct a post-installation inspection before paying out the rebate. Select the primary energy source for heating. Select the areas of your home you plan to upgrade. Fill in all required fields for each area to be insulated (Area to be insulated, Original R-value, Added R-value). Note: Other than decimal points, do not enter any other non-numeric characters (commas, dollar signs, etc.) in the entry boxes. Doing so will cause an error. The Owner must be an owner of the Residence in which the insulation upgrade is taking place, and the Residence must be occupied and have an active MH residential electricity or natural gas account. Installation of materials must be completed within eighteen (18) months of the date of issuance of an ApplicationAPPROVAL number from MH. Only one Application per insulation measure (attic, walls, foundation) per Owner will be accepted. Insulation upgrades to seasonal residences, attached garages, outbuildings, porches, verandas, sun-rooms, or other types of dwellings do not qualify and are not eligible for any rebate. MH has the right to conduct a pre-installation and post-installation evaluation of the Residence and any and all materials and measures to determine whether pre-approval may be granted and/or whether any rebate will be issued. The issuing of an Application approval number in no way binds MH to grant or pay a rebate where HIP terms and conditions have not been met, or information in an Application is determined by MH to be inaccurate or incorrect. MH reserves the right to visit and inspect the Residence at any reasonable time from the date of an Application, until twelve (12) months after installation of the insulation materials. The requirements for insulation upgrades are specified in the Rebate Calculation Schedule. Rebates will be calculated based upon the information and calculations set forth in the Rebate Calculation Schedule, subject to MH’s acceptance/revision of same. In determining the amount of any rebate, the applicable R-value listed by the CCMC at the time of rebate calculation shall be used. In no event shall any rebate exceed the purchase price of applicable installed insulation materials. Any rebate, if paid, will be paid to the Owner. Rebates will be applied first to any outstanding amounts of the Owner with MH in the following order: (i) MH loan arrears; (ii) MH account balances. Otherwise, the Owner will have the option of receiving the rebate as a credit or cheque or payment to a MH loan principal, as selected on the front page of the Application. Rebates in the amount of less than $200 will be issued as a credit to the Owner’s MH energy account. Where a MH loan has been utilized toFINANCE the insulation project or a portion of the insulation project, the rebate will be applied to the MH loan. MH’s decisions relating to acceptability of insulation materials and/or measures, qualification or eligibility of rebate application, and amount of rebate, shall be final and binding and not subject to appeal. The Owner agrees that the selection, purchase, installation and ownership/maintenance of the materials and measures listed in the Application are its sole responsibility and that the supplier/installer of same is not affiliated with MH or Power Smart. The Owner understands that MH and Power Smart make no representation or warranty, whether expressed or implied, of any insulation materials or measures that the Owner has chosen to install and claim a rebate for. The Owner agrees that MH has no liability concerning (i) the quality, safety, and/or installation, of the insulation materials or measures; (ii) the estimated energy savings of the materials or measures; (iii) the workmanship of any third parties; (iv) the installation, use, or fitness for the Owner’s purposes of the materials or measures; and/or (v) the eligibility of any material or measure for any rebate. The Owner agrees that MH has the right to claim anyEMISSION reduction (greenhouse gas) credits that may result from the insulation measures installed. The Owner is responsible for meeting all HIP requirements and complying with any laws, regulations, or by-laws regarding permits, codes, restrictions, or inspections in relation to materials or measures installed. All materials must be purchased and/or installed by a contractor or retailer registered as a MH Power Smart supplier. MH reserves the right to change or terminate the HIP at any time without notice. An Application submitted prior to a change or termination will be administered in accordance with the HIP as it existed effective as of the date of the Application.